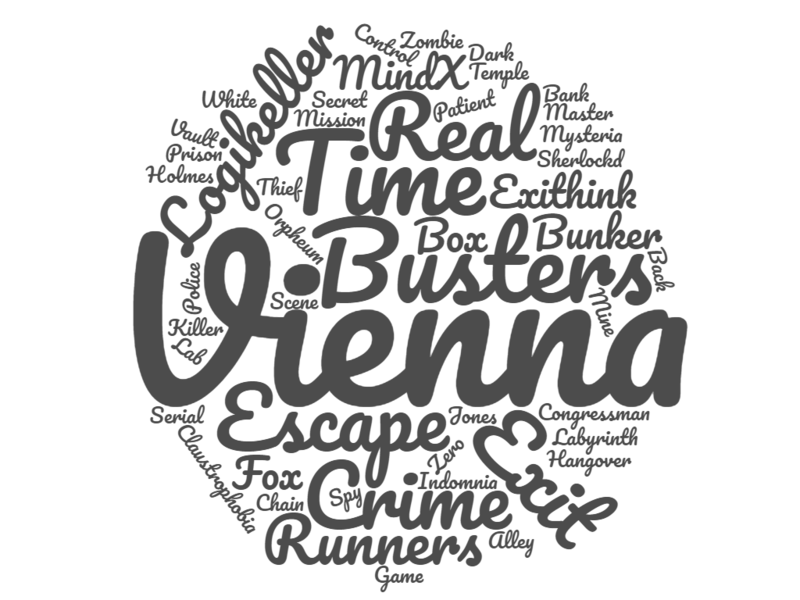 I’ve been lucky enough to play escape rooms in Vienna on three separate occasions (Feb 2017, Dec 2017 and March 2019) and played over 30 rooms in the city at some of the most highly recommended establishments. This post pulls together the various articles I’ve published (links below) with my recommendations. The list of games to play was compiled with advice from the awesome Two Bears Life, the writers of the only review site I could find that covered Vienna, opinions from Viennese owners on other games to try and, where all else failed, painstaking combing of the Trip Advisor pages. My overall experience was that the quality of the games in the city was OK – around 20 of the ones we played were decent games (although, obviously, we were very careful to choose what we considered the best options!). The standard of English was high at virtually all the locations. Crime Runners: Going Underground. Without a doubt this is the best experience in the city and one of the best games I’ve played. Crime Runners: Episode 3. While you’re there, Episode 2 is also well worth a visit from an enthusiast point of view because of its full-on immersion. Time Busters: The Mine. A big beautiful game with great decoration. It really is worth reading the individual articles, though – there’s more detail on each of the games above that you’ll probably find useful. Note also that someone who visited Vienna and played many of the games has written up their thoughts in the comments below – well worth a read for a second opinion and for some of the rooms I didn’t play. thanks for your review: it was very useful. We played some of the rooms you mentioned, and we found some other gems as well. – Dragon Cave. Vote 4,5. Very beautifully made, interesting puzzles and very nice scenography. A little longer than usual (they give you 70 minutes). One of the best we played (and we played a lot). – Opera. Vote 4,5. Astonishing scenography and nice puzzles. – Car thief. Vote 3. Original setting and the puzzles are perfectly in theme. Pity a bad game-master. ESCAPE HUNT (The third man, vote 3) and FOX IN A BOX (Mr Fox Office, vote 2,5): Not bad, but too easy for experience player. Bomb 2,5. Mind Boggling 3,5. White Room 4. Claustrophobia 4. Crime runners 1: 3; 2: 3,5; 3:3,5. Tresor 3,5.The mine 4,5. Insomnia 2. Indiana Jones 3,5. Thanks. I went back to Vienna a couple of weeks ago and played Dragon Cave and agree that it’s a good game. Curious to hear that First Escape had a great game too – I wasn’t aware of them but will make sure to visit when I return next (maybe in May).